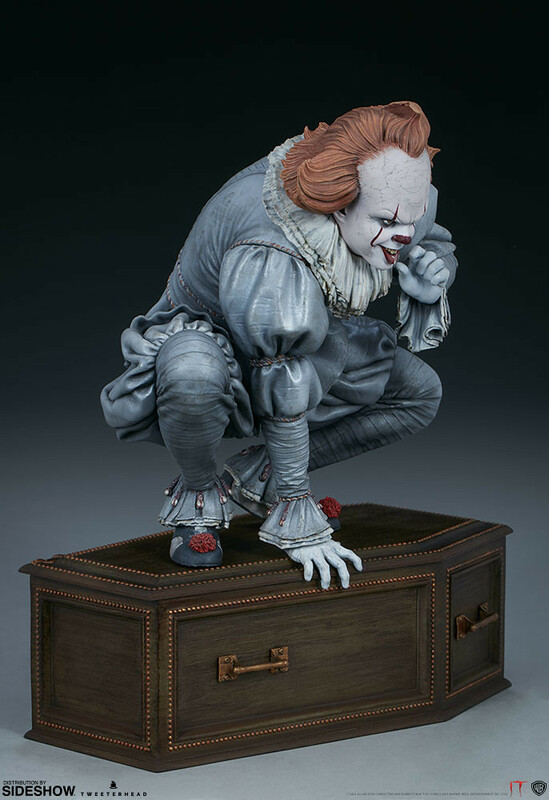 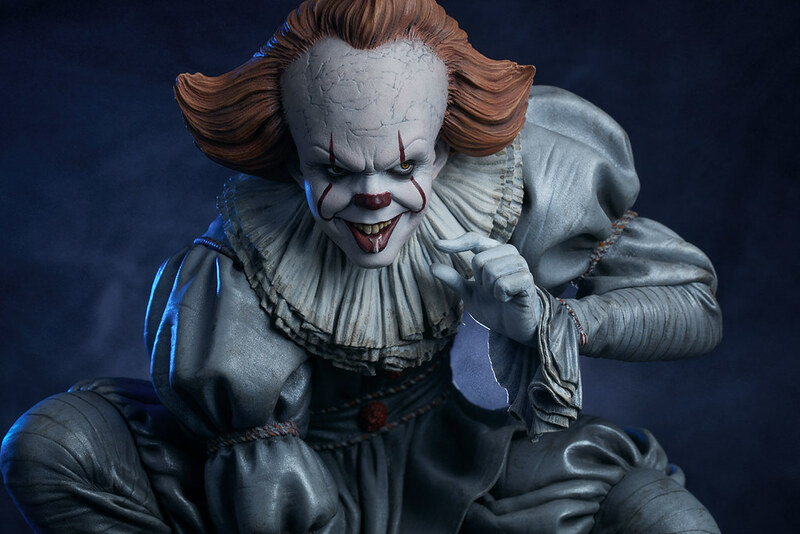 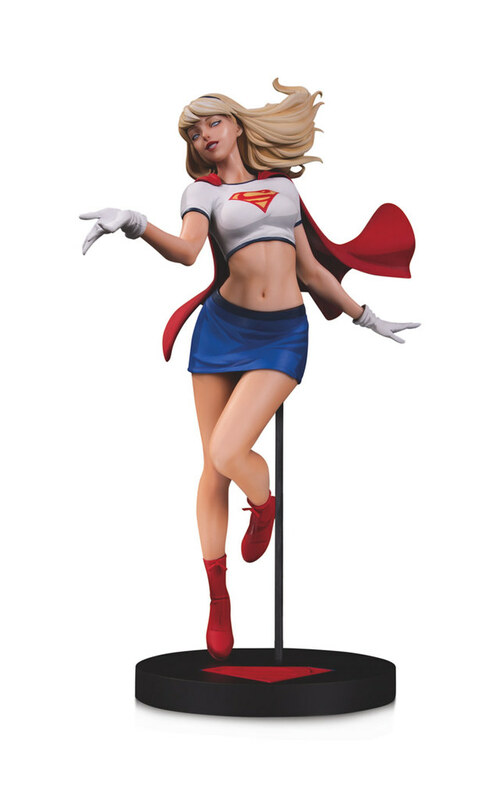 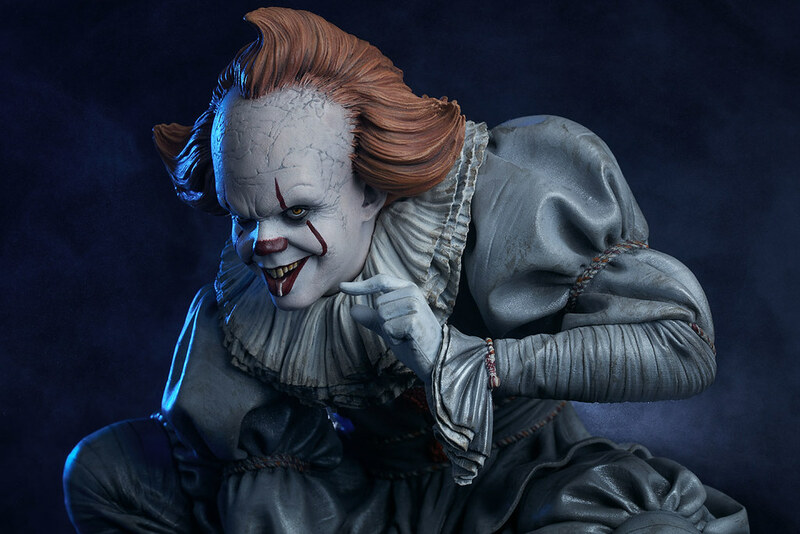 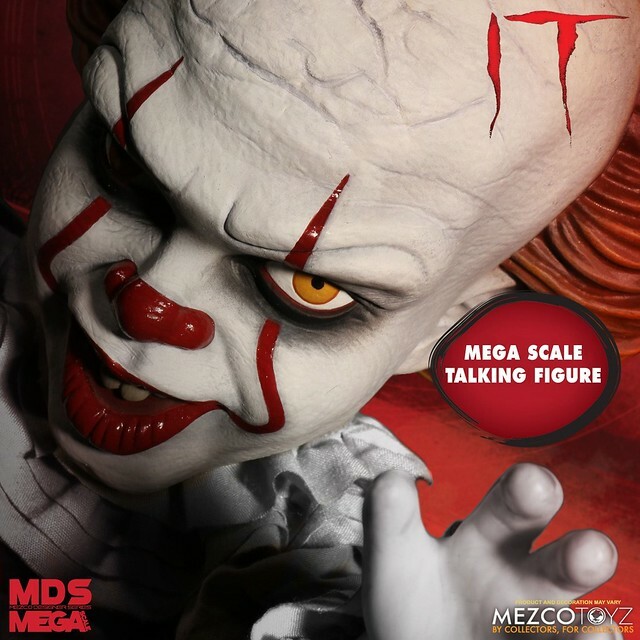 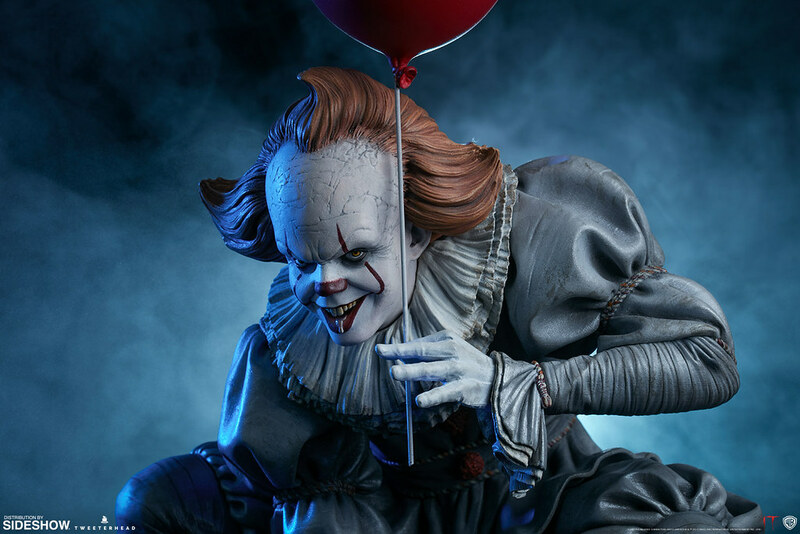 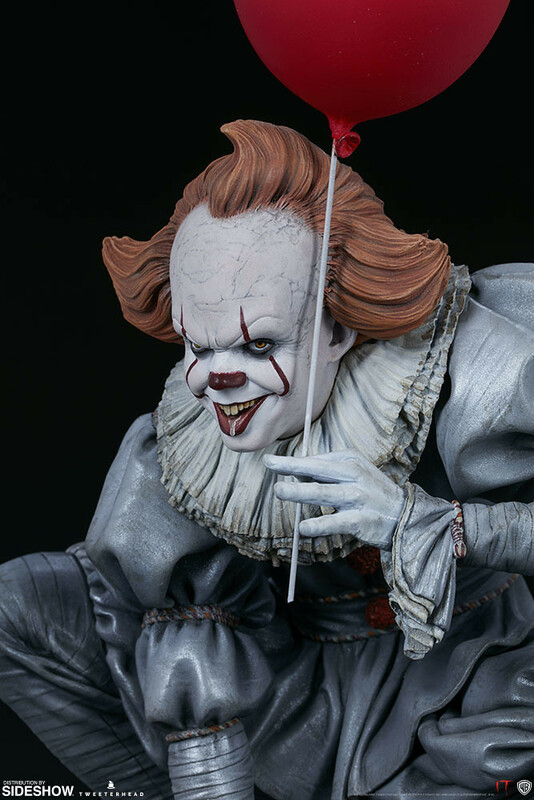 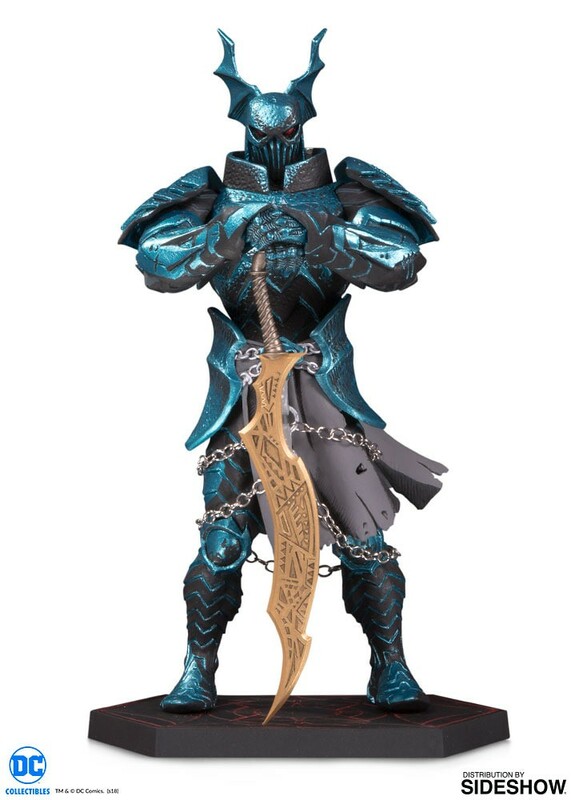 After releasing "Super Powers" statue series, Tweeterhead recently announced Pennywise 1/5 Scale Figure from It (2017), releasing Q3 of 2019. 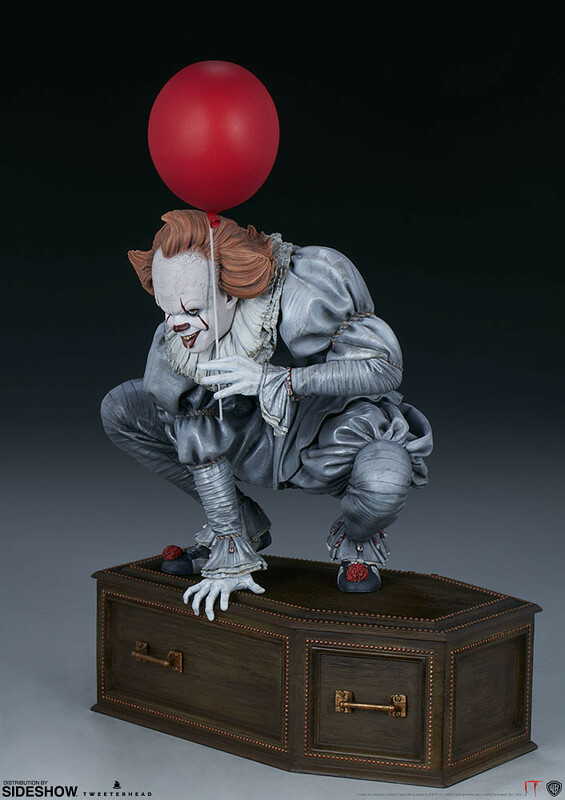 This piece is inspired by the scene were Richie was scared to death by Pennywise's many room contractions after separating from Bill. 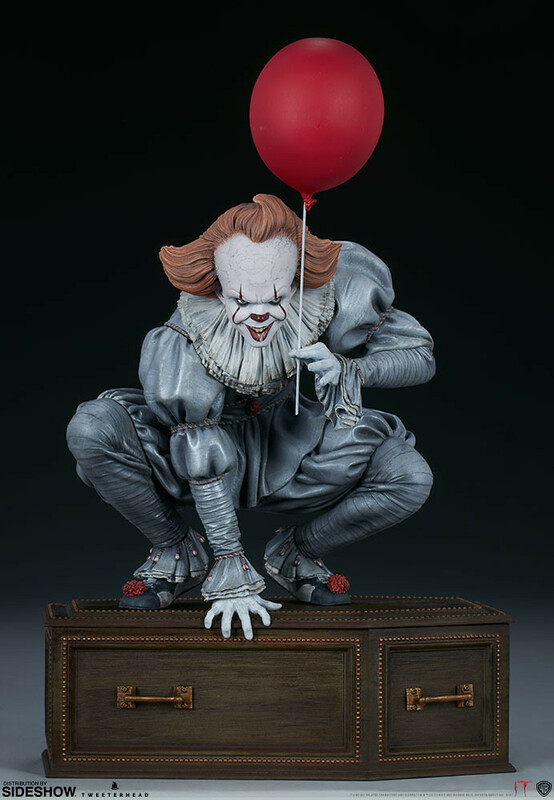 It (2017) is an adaptation of Steven King's 1986 novel of the same name. 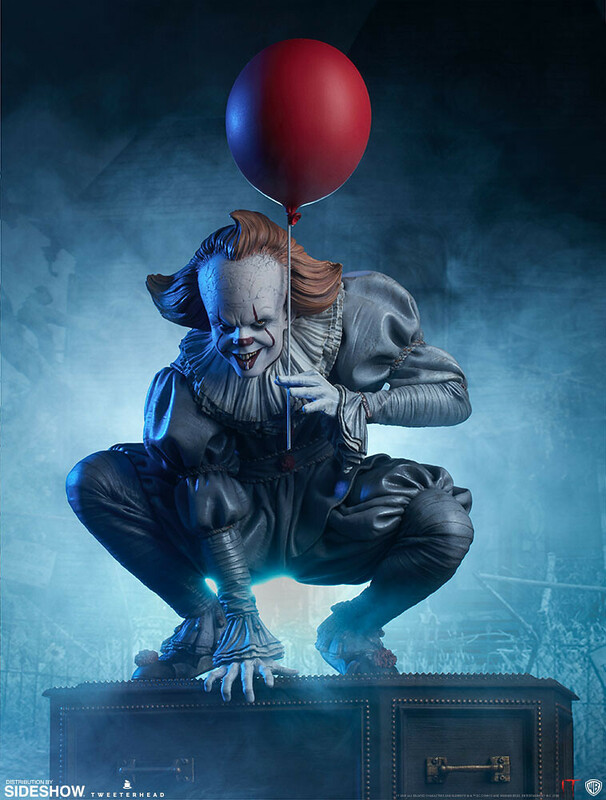 Set in Derry town, the story follows members of loser club getting followed by "It", and must face its greatest fear to overcome "it"; The story begins with a little boy name Georgie get pulled down into a drain hole. 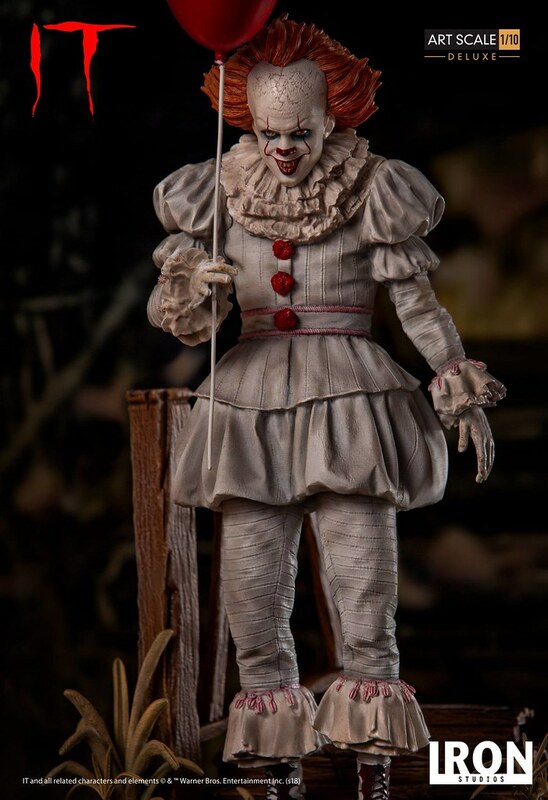 "It" is a shape-shifting creature that takes shape of children's most fearful thing as it loves meat with fearful scent, so "It" mostly appears as Pennywise the Clown. 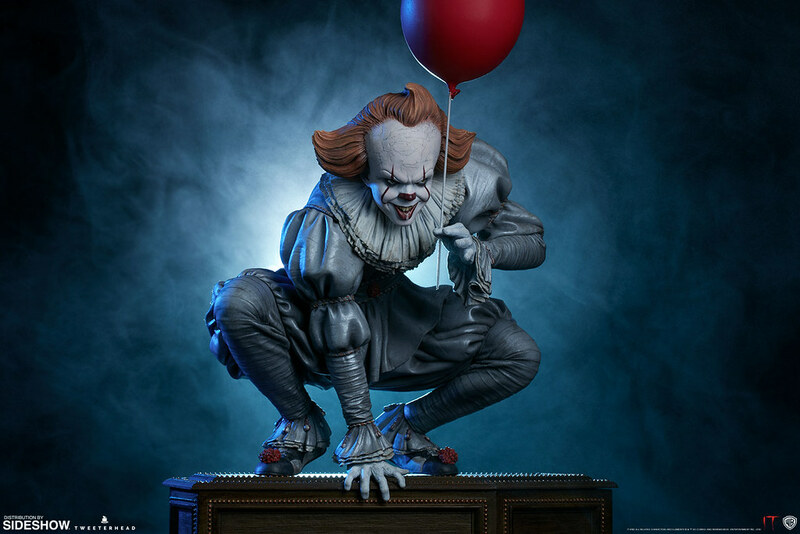 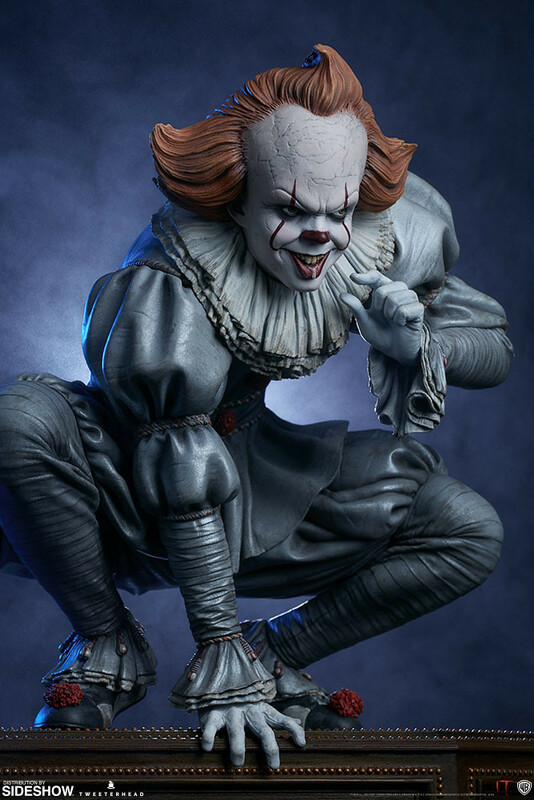 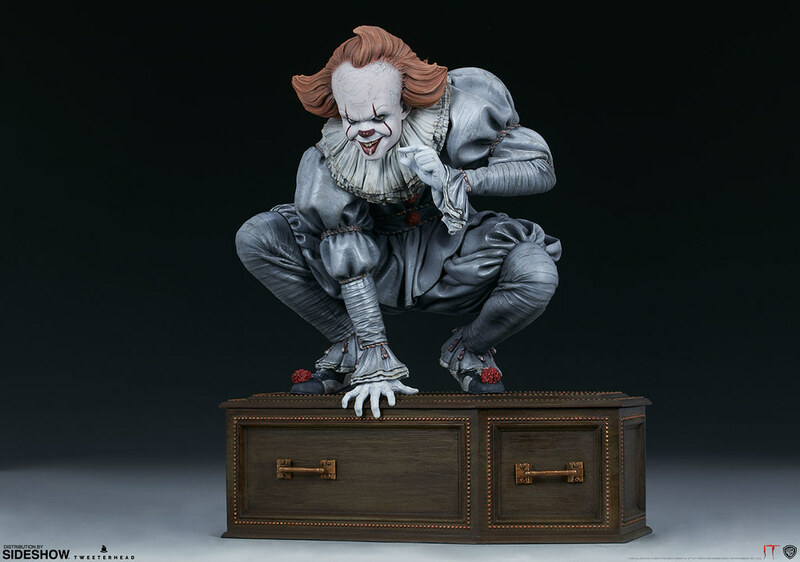 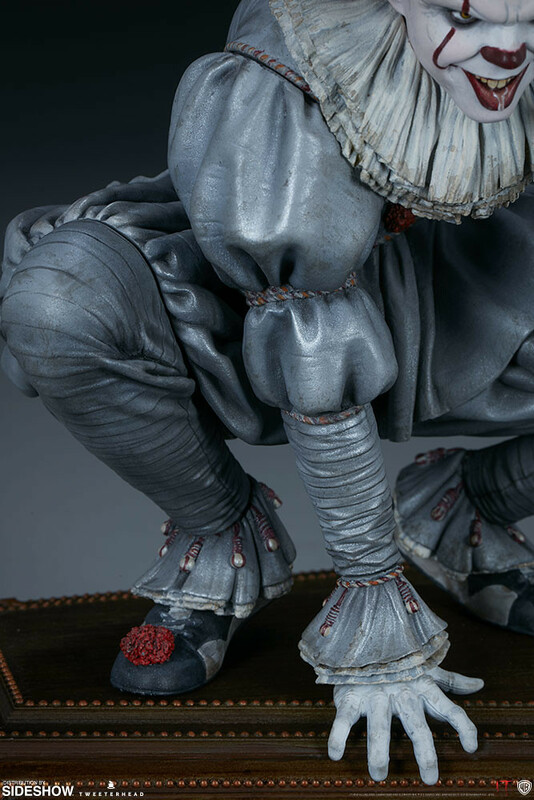 Pennywise 1/5 Scale Figure is approximately 33 cm tall with strange crouching pose making the clown scarier! 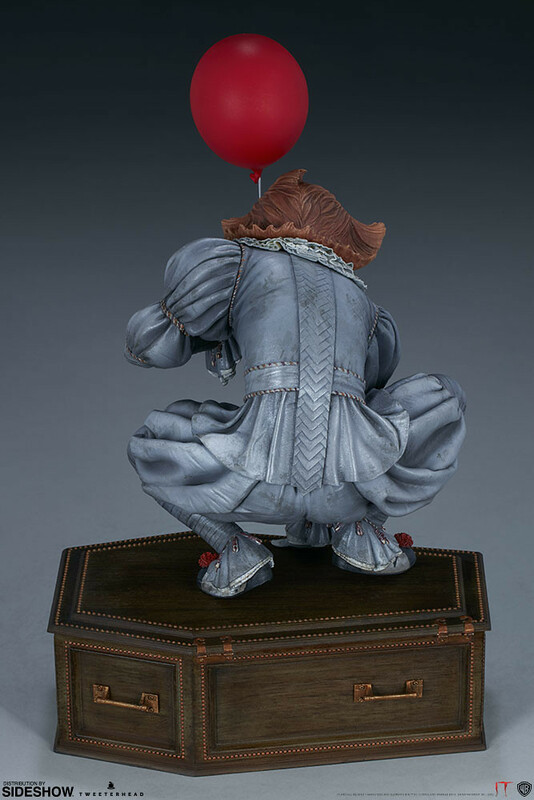 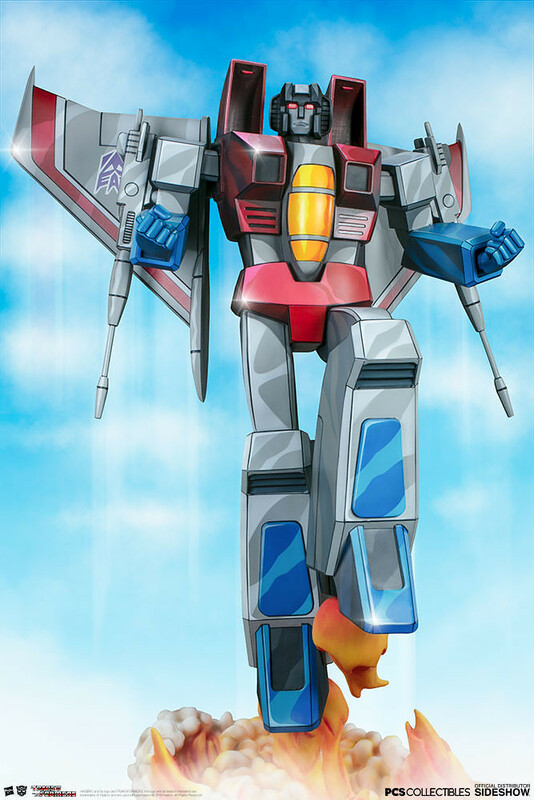 Right-hand supports the ground while left-hand holds a red balloon. 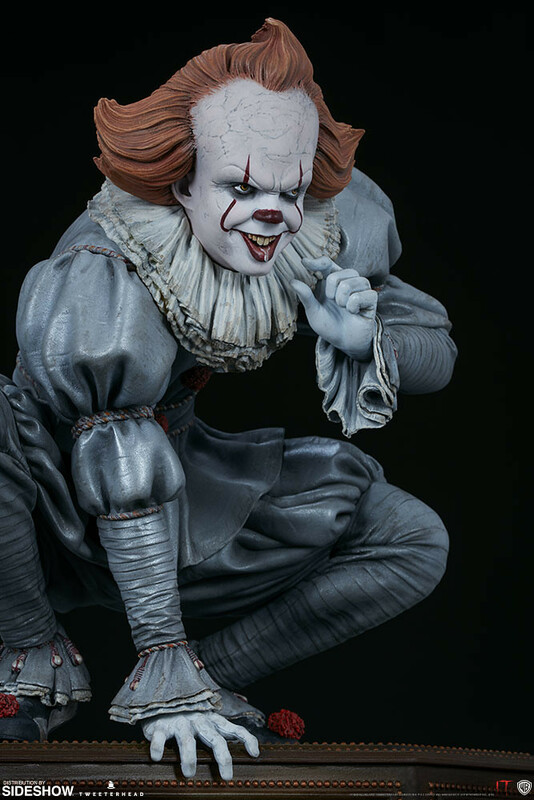 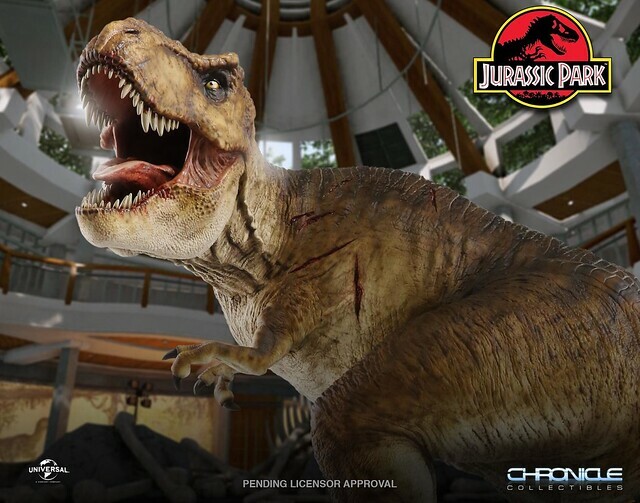 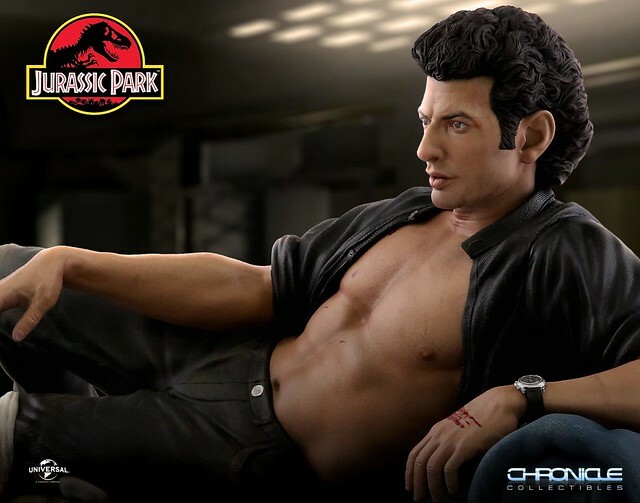 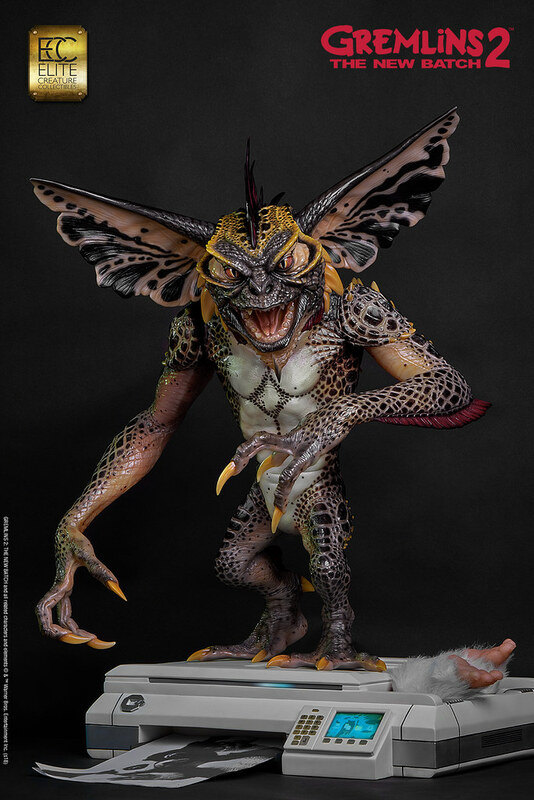 Referenced the movie's design and recreated the scrunched expression and costume; Hair and forehead full of creases and the eye-catching makeup with creep smile are all realistically sculpted, with a drooling mouth too! 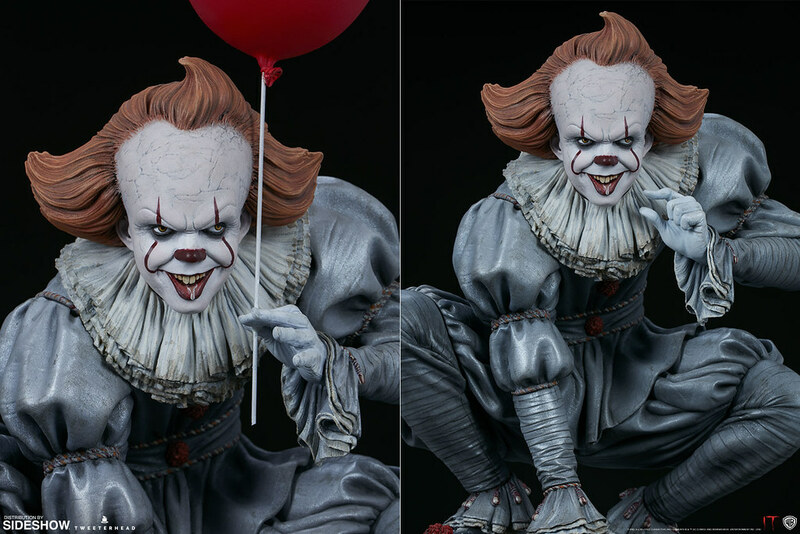 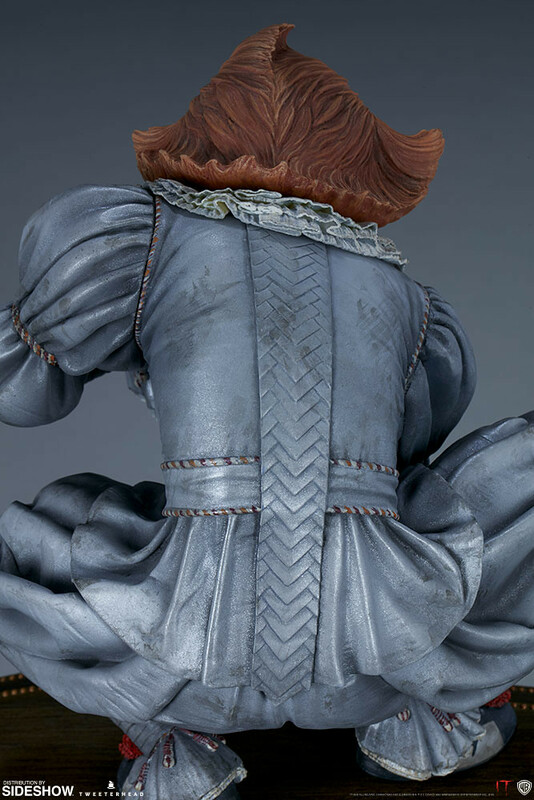 Pennywise's cloth has many sculpted details, folds and weathering made the piece more realistic! 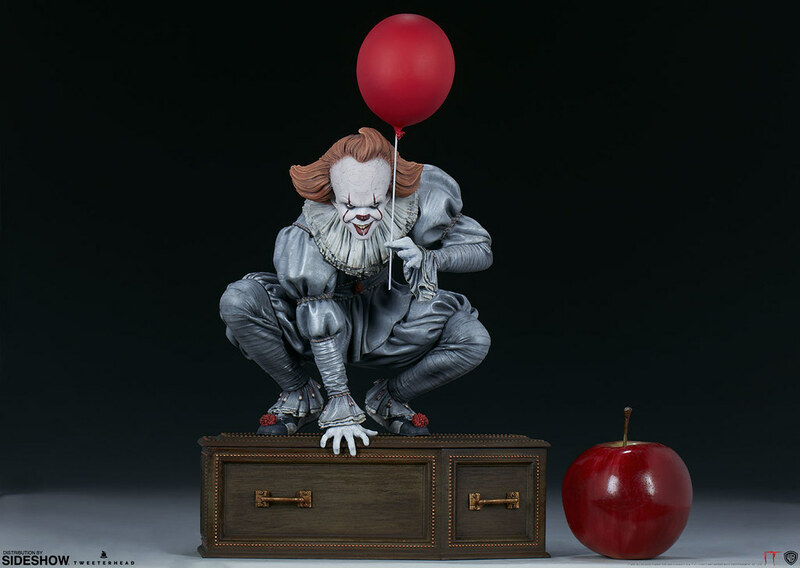 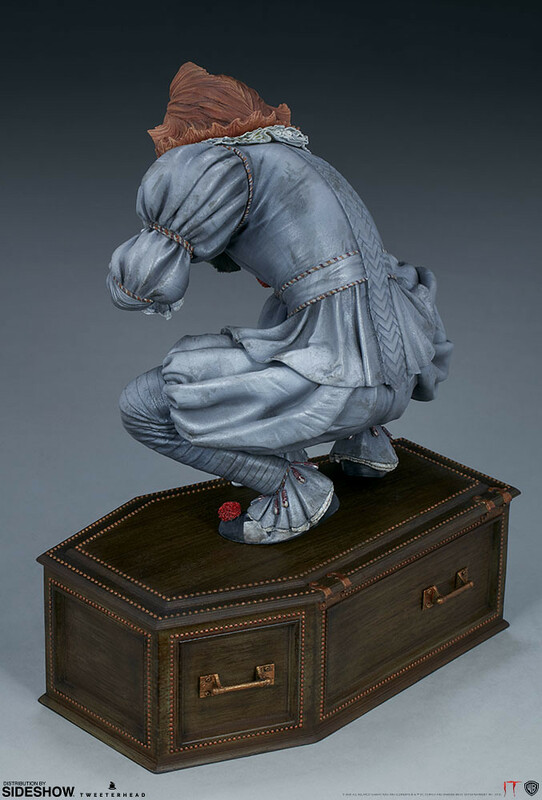 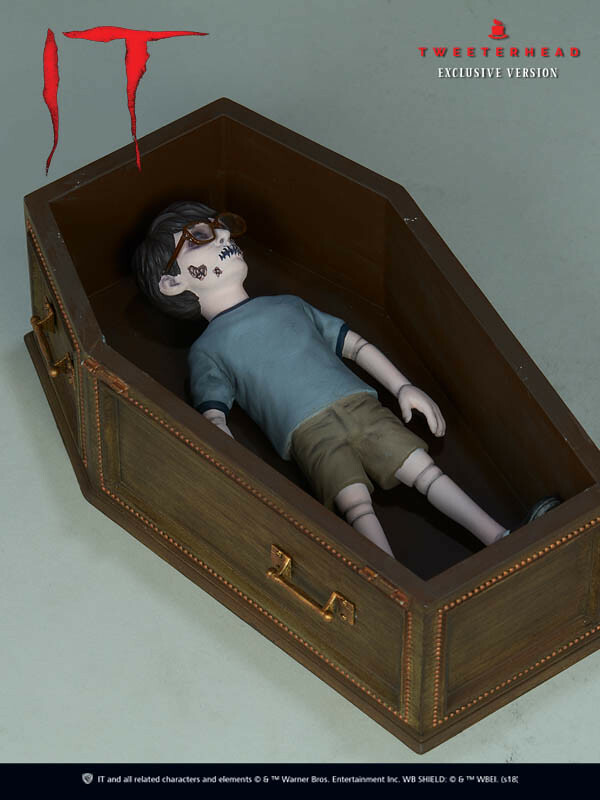 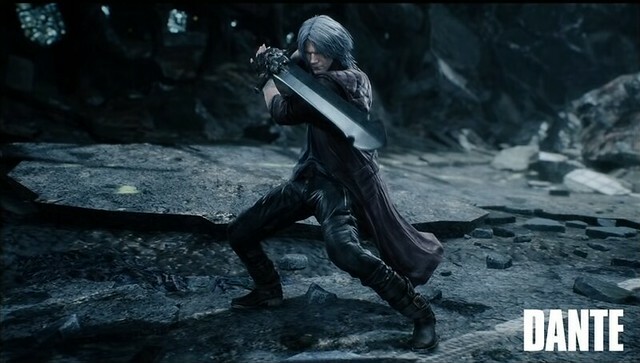 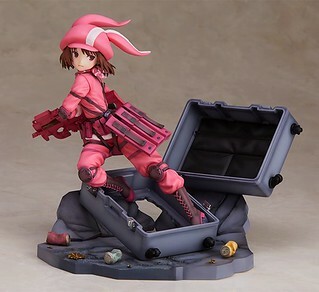 Beside the red Ballon, the left-hand has "pitching" as an optional part, and the coffin base has neat look and wooden texture, raising its collect value. 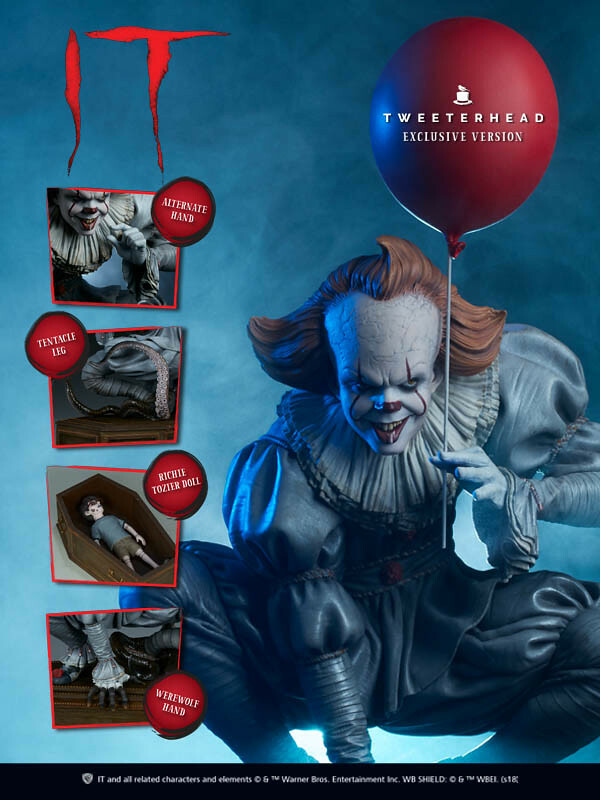 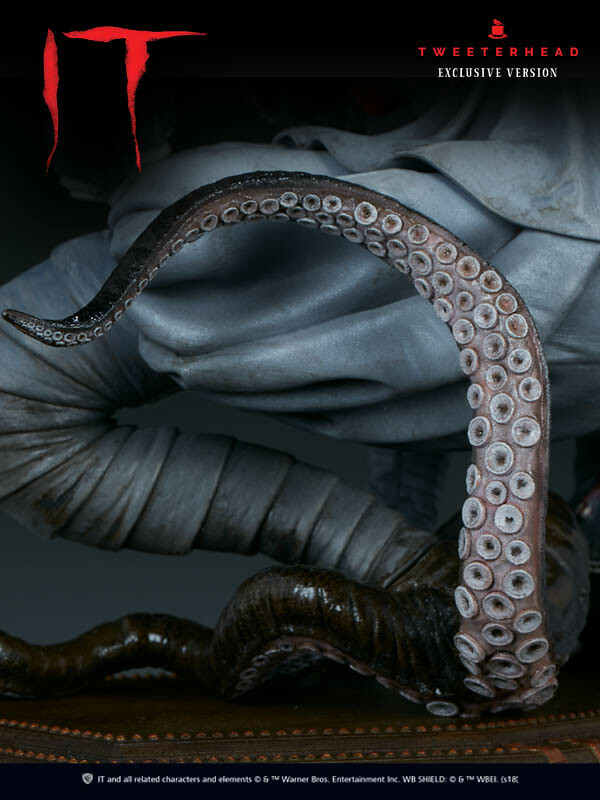 Exclusive Edition on Tweeterhead.com adds more variety to the clown's look, including tentacle left leg, Werewolf right arm, and Richie doll crawling with maggot!